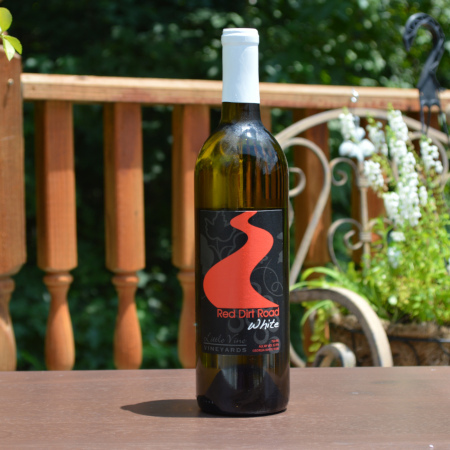 A smooth and refreshing white wine with light acidity, hints of citrus, and fresh herbs. 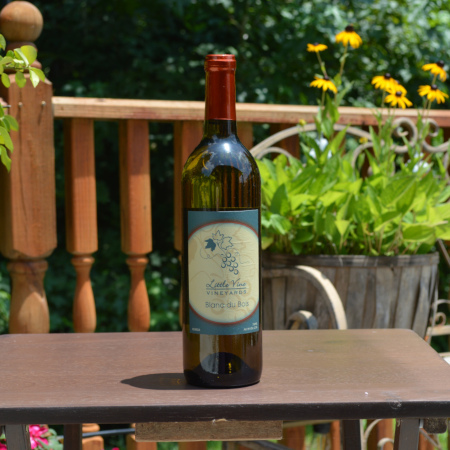 By adding sugar to our Blanc du Bois wine, it brings forward a crisp taste of white flowers and peaches. 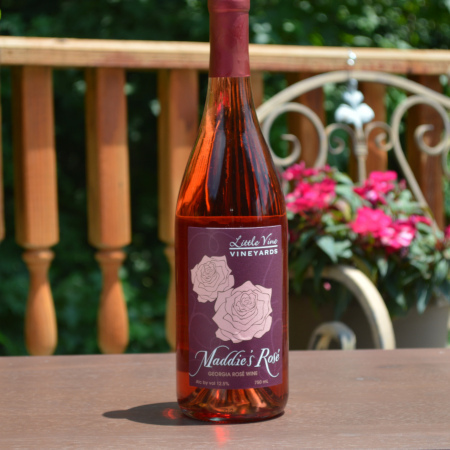 Named after one of the owner's granddaughters, this silky wine is not to be messed with. With fresh hints of strawberry and apples, it will leave you saying, "One more, please!" 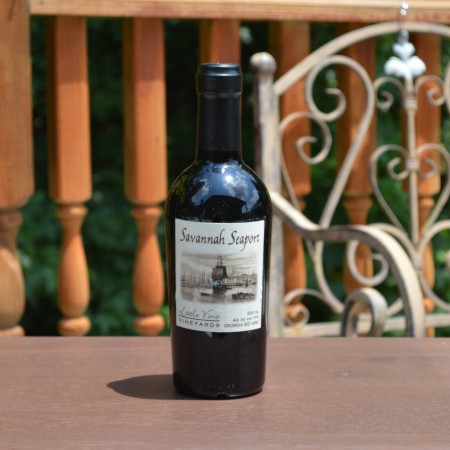 Otherwise known as Savannah's Heritage grape, it brings jam-like flavors of dried cherries and molasses to the table with hints of toasted vanilla. 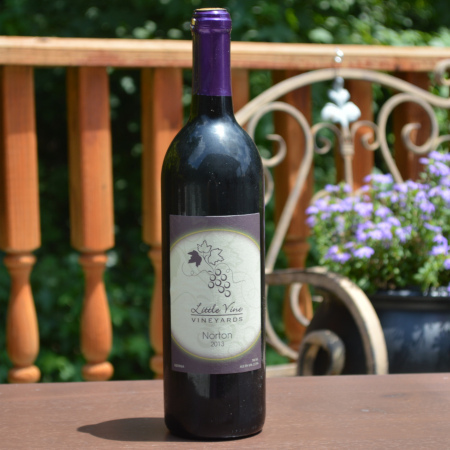 This native Virginia grape has a distinctive dark flavor unlike other wines, but the earthy and bold flavors of coffee and plums keeps you coming back for more. 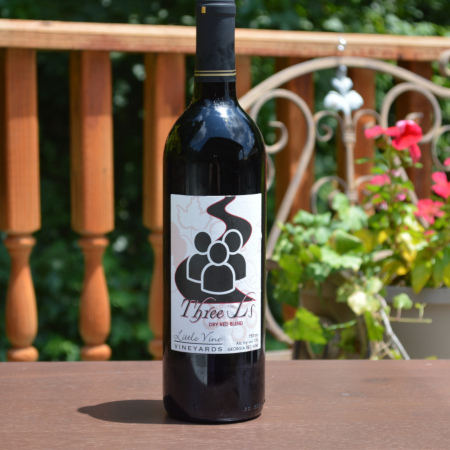 Named after the owner's three grandsons (Lincoln, Lennox, Layton), this blend of LeNoir and Norton grapes reflect the best qualities of each grape with hints of bittersweet chocolate and toasted vanilla. 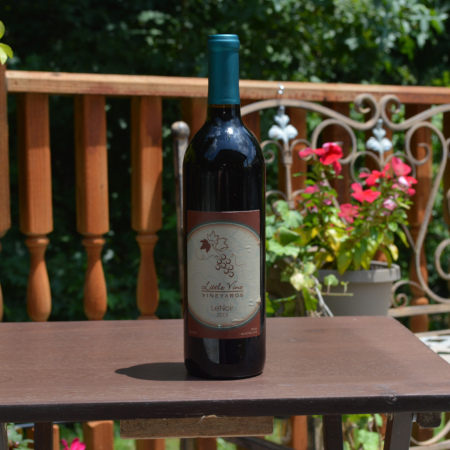 This original Little Vine Vineyards blend has a known reputation for being the best. By blending LeNoir and Norton grapes with just a touch of sugar, drinkers get a smooth, bold taste of blackberries and dark cherries. 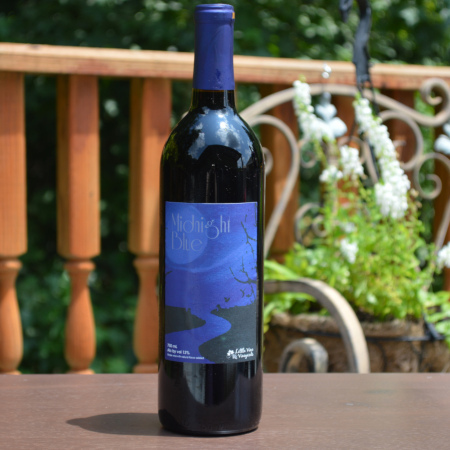 This blend of Norton and blueberry brings a finesse to the blueberry wine world. 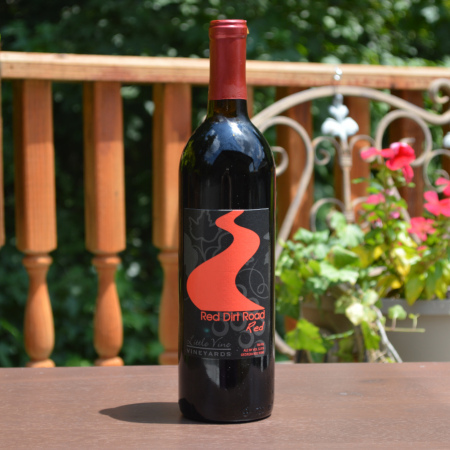 While not too sweet nor too dry, this juicy wine will not leave you feeling blue. 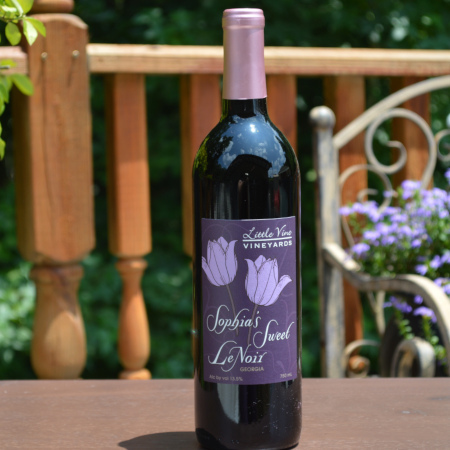 Named after one of the owner’s granddaughters, this dessert wine showcases the complex flavors of dark cherries and vanilla of the LeNoir grape, but has a sweetness of a fine Muscadine wine. An ode to the return of the LeNoir grape to Georgia, this rich wine has predominately red currant flavors with notes of blackberry.